The Trump Make America Great Again Committee sent out an email to supporters this week calling on them to sign a petition to get ESPN to go back on their decision not to air the national anthem during their NFL Monday Night Football telecasts this season. 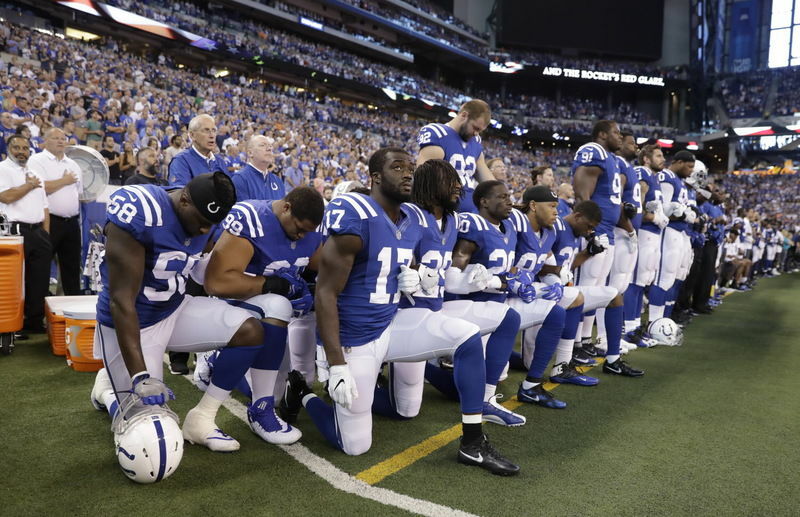 ESPN did not show the anthem in previous years and announced earlier this month that they would stick to that policy in the hopes of avoiding the controversies stirred up by the player protests. In their email, however, the Trump campaign noted that if the NFL couldn’t take the measures necessary to protect their brand and the sport from being tarnished, it shouldn’t be up to ESPN to provide viewers with a censored reality. The first line is a clear reference to New York Governor Andrew Cuomo, who came under fire two weeks ago for telling supporters that Trump was “not going to make America great again” because “it was never that great” to begin with. While the President of the United States and his legions of supporters have made it crystal clear where we stand on the subject of NFL thugs kneeling for the anthem, Democrats are going in the other direction. Apparently convinced that the majority of Americans like watching their flag be disrespected every time they sit down to watch some football, they are egging the players on and making it out like Colin Kaepernick and the idiots he inspired are somehow the embodiment of patriotism because they take a knee. Just listen to Beto O’Rourke, the former punk musician who is making a play for Ted Cruz’s Senate seat in Texas. Asked about the player protests at a town hall meeting in Houston, O’Rourke said that he was fully supportive of the players. Yeah well, the “rights” of NFL players are not up for grabs or being infringed upon, so that’s a moot point. So can we, Ted. So can we.